A Virginia woman was awarded more than $110 million by a Missouri jury last month after claiming she developed ovarian cancer from Johnson & Johnson’s talcum powder-based feminine hygiene products. 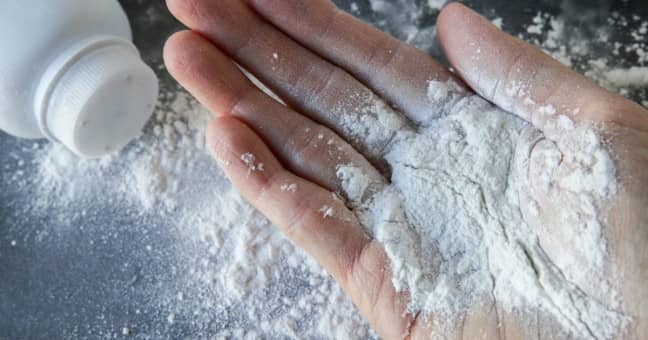 The verdict was the largest yet to come out of thousands of talcum powder lawsuits currently pending in courts around the United States. Thousands of women who have used Johnson & Johnson’s products, including Baby Powder and Shower to Shower Powder, accuse the company of not properly warning customers about the connection between talcum powder and cancer. Johnson & Johnson has faced five trials related to its talc products since last year and lost four of them. In the May 4 verdict, the jury found that Johnson & Johnson was responsible for causing the cancer of Virginia resident Lois Slemp, who says she developed ovarian cancer in 2012 after more than 40 years of using the company’s products. The 62-year-old could not attend the trial because she was undergoing chemotherapy after her cancer returned and spread to her liver. She filed a lawsuit against Johnson & Johnson and its talc supplier Imerys Talc. The jury awarded $5.4 million in compensatory damages to Slemp and decided that the pharmaceutical giant was 99 percent at fault and Imerys Talc was 1 percent at fault. Punitive damages of $105 million were awarded against Johnson & Johnson. Punitive damages of $50,000 were also awarded against Imerys Talc. “I felt that J&J was withholding information about its products that was vital to women –vital to women like me,” juror Nancy Kinney said to Bloomberg. Kinney further said that the number was derived from a formula that included the number of years since International Agency for Research on Cancer announced talc was a possible carcinogen in 2006. Slemp’s lawyers have hailed the verdict as a victory for women. “Once again we’ve shown that these companies ignored the scientific evidence and continue to deny their responsibilities to the women of America,” Ted Meadows, a lawyer for Slemp and other plaintiffs, said in a statement, according to Reuters. The two companies at the center of the lawsuit have continued to support the products as safe, however. A spokeswoman for Johnson & Johnson told Reuters that the company sympathizes with the woman but that it planned to appeal the verdict. “We are preparing for additional trials this year and will continue to defend the safety of Johnson’s Baby Powder,” spokeswoman Carol Goodrich said. Gwen Myers, a spokeswoman for Imerys, said that the verdict is contrary to research that has found talc safe to use. “This verdict serves to undermine efforts by the scientific community to determine the true causes of ovarian cancer,’’ Myers wrote in the statement. In May 2016, Johnson & Johnson issued a message about talc on its website in support of its products. The latest trial represents Johnson & Johnson’s fourth loss in talc trials. In February 2016, a jury awarded $72 million to the family of a woman who died from ovarian cancer after using the products for decades. In the second trial, $55 million was awarded to another woman who said the products led her to develop ovarian cancer. A third trial in October 2016 resulted in a $70 million verdict. The most recent trial from March saw Johnson & Johnson’s first victory in its talc lawsuits. A jury in Missouri sided with the company in a case where plaintiff Nora Daniels claimed she developed ovarian cancer after using Baby Powder for 36 years. “The jury’s decision is consistent with the science, research, clinical evidence and decades of studies by medical experts around the world that continue to support the safety of cosmetic talc,” a spokesperson for Johnson & Johnson said in a statement after the verdict. Johnson & Johnson still faces about 2,400 lawsuits from women making similar claims. Many of those cases are pending in St. Louis where the five trials have already taken place. Another talc claim is scheduled to go to trial in June.The family of a former figure skater who died of ovarian cancer is suing Johnson & Johnson in St. Louis. Another trial is set to take place in Los Angeles in July. Any blog content posted on The Eichholz Law Firm website is provided for educational and informational purposes only and is not considered to be legal advice. If you or a loved one believe you have a class action lawsuit claim, please contact us for a free case evaluation.